↑ Boulton, WilliaM; Pecht, Michael; Tucker, William; Wennberg, Sam (May 1997). "Electronics Manufacturing in the Pacific Rim, World Technology Evaluation Center, Chapter 4: Malaysia". The World Technology Evaluation Center, Inc. http://www.wtec.org/loyola/em/04_07.htm। আহৰণ কৰা হৈছে: 1 November 2010. 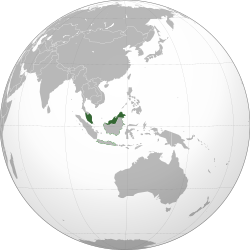 ↑ "Malaysia, A Statist Economy". Infernalramblings. http://www.infernalramblings.com/articles/Malaysian_Economy/436/। আহৰণ কৰা হৈছে: 1 November 2010.